Currently living and working in Fargo, Lysne grew up in Crookston, MN and attended college at the University of Minnesota, Morris. He holds a Master of Fine Arts degree with emphases in drawing and printmaking from Washington State University, which he completed in 2012. 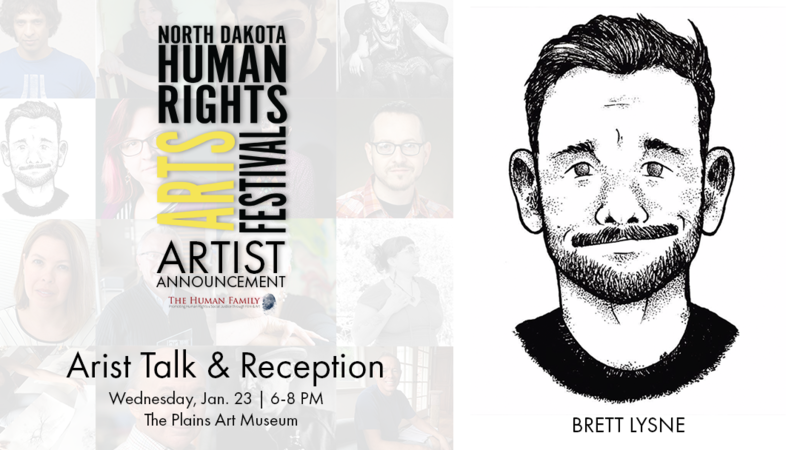 In recent years, he has partaken in artist residency programs in Washington, Vermont, Finland, Minnesota, and at the Printmaking Education and Research Studio (PEARS) at NDSU in Fargo.